Toll fee through Ca mountain pass tunnel will hike from April 1, the mountain pass tunnel investment company said yesterday. According to the company, lowest toll fee for sedan less than 12 seats, truck with load capacity under 12 tons and public passenger buses will be VND 90,000 a trip while the present price is VND52,000 one trip. The highest level for trucks with 18 tons up or 40-feet container trucks will be VND240,000 a trip compared to VND200,000 one trip at present. Monthly and quarterly fares also have adjustment. According to the mountain pass tunnel investment company, the hike abides by the government’s circular No. 60/2018/TT-BGTVT which allows investors to apply higher service price for tunnel than normal road because investment in tunnel is more expensive than roads. 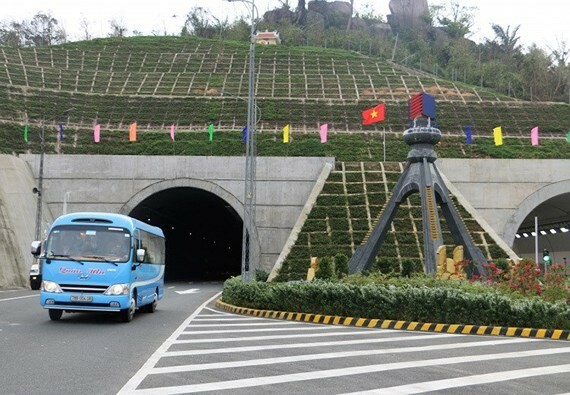 13.2 meter Ca mountain pass tunnel with designed capacity of 80 kph connects the central provinces of Phu Yen and Khanh Hoa. 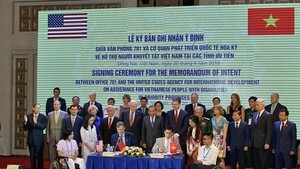 Investment cost is VND11,300 billion ($486,963,109). The tunnel helps reduce travel time by 30 minutes compared to traveling in the mountain pass.